Posted on February 14, 2012 by Canuxploitation! Posted on February 4, 2012 by Canuxploitation! 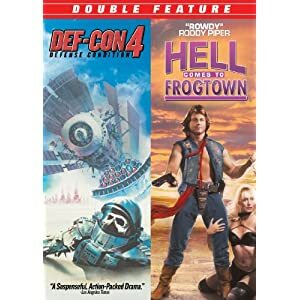 While many of us discovered Canuxploitation films through late night TV screenings and VHS rentals, there’s still something special about catching a locally produced B-movie classic in the theatre alongside other Canadian film fans. Here’s our monthly update featuring upcoming classic Canadian cinema screenings. Eight classic creatures — including Frankenstein’s monster, the Mummy, the Wolfman and the Cyclops — battle it out, WWF-Pay-Per-View-style in an abandoned, cursed graveyard. More info here. Brett Kelly shows his indie comedy classic plus short zombie-related films by Ottawa filmmakers at this benefit screening to raise money for Kelly’s new project, MY FAIR ZOMBIE. More info here. Posted on January 23, 2012 by Canuxploitation! What was Canada’s first monster movie–the 1967 British co-production THE VULTURE? 1971’s DR. FRANKENSTEIN ON CAMPUS? True, those may have been the first feature-length creature features to debut in the Great White North, but Canada’s history with horror goes back even a little further–in fact, it’s tangled up in our roots in documentary filmmaking. Even before movie monster mania swept North America in the 1950s, spurned on by the repackaging of classic horror films for TV broadcast and the introduction of FAMOUS MONSTERS magazine, the NFB produced this bizarre eight-minute short that plays off one of the biggest horror hits of the previous decade, even directly referring to Spencer Tracy’s 1941 turn as the mad scientist and his uncouth alter ego. GENTLEMAN JEKYLL AND DRIVER HYDE, released in 1950, has long been one of my favourite NFB films, adding horror touches to an otherwise fairly typical mental hygiene film about common courtesy on the road, all narrated by some wisecracking truck drivers. Have you ever had road rage? Like, really, really bad? Even by today’s standards this is unconscionably terrible and inconsiderate driving–cutting people off, not stopping for kids playing in the street, insulting pedestrians, screaming at other drivers, racing through lights and weaving into the oncoming traffic. The portrayal of bad driving habits is so deliriously over-the-top that this film almost becomes a comedy of extreme road safety errors. Once the trucker finishes condemning poor Jekyll, he then reveals the source of his bitterness–he and his fellow professional drivers are blamed by the public for accidents, even though it’s the everyday amateurs that often cause them. Apparently, all those terrible fatal crashes are just business as usual–just leave him out of it, brother! At this point even the other driver gets tired of his employer’s holier-than-thou attitude, but gets slapped Three Stooges-style for talking back. Perhaps a follow-up film on bad boss behaviour is needed–SAFETY-MINDED JEKYLL AND ABUSIVE SUPERVISOR HYDE? Conceptually, this NFB short is still a lot of fun, even if the monster itself is an obvious low-budget creation–whereas nine years earlier Tracy boldly played Hyde without make-up, simply contorting his face into new shapes, some rudimentary effects work was clearly required here. The quality make-up job? Well, as you can see it’s not exactly up to the Jack Pierce standard. Hyde looks more like a Neanderthal devil than anything–horns protruding from his head, a little spirit gum-stuck hair and plastic fangs. The transition from mild mannered family man to sociopathic wheelman isn’t terribly convincing either, done with a simple edit and screen wipe. But it’s probably too much to ask for a little NFB short to put some effort and care into its monster making, especially since no Canadian craftsmen were dedicated to that particular niche art at the time. It’s not too surprising that their Hyde is not quite up to par. But at least he’s here, captured on celluloid forever–the earliest example of the horror genre’s influence on Canadian filmmaking. Bizarrest moment: Apparently, the opposite of Driver Hyde is some sort of drag queen-like courtesy angel. Lesson learned: Don’t turn into a dime store monster and drive. Posted on January 12, 2012 by Canuxploitation! It was a long time coming. During the Toronto Film Critics Association’s 15th annual gala awards earlier this week, Cinepix’s John Dunning was given the Clyde Gilmour Award, recognizing his lifetime achievement for contributions to Canadian film. The honour was actually announced last spring, and in the months since then, Dunning–ailing since a 2006 bicycle crash–unfortunately passed away. In his place, John’s son Greg accepted the posthumous award from his father’s friend and acolyte, David Cronenberg. As part of the presentation (and, I guess, a service to those TFCA members not fully unaware of Dunning’s legacy) the gala projected a five-minute compilation of Cinepix’s greatest moments, edited by Blue Sunshine co-founder David Bertrand. It’s recommended viewing for seasoned fans and newcomers alike, an exhilarating look at some of the highlights of Dunning’s five decade career in Canadian filmmaking. Unfortunately, since embedding that video is forbidden (boo! ), here’s a clip that’s not quite as fun but still worth checking out–Cronenberg’s speech at the gala. Update (1/14/12): Dave got us permission to embed the video here–thanks to him and the TFCA!